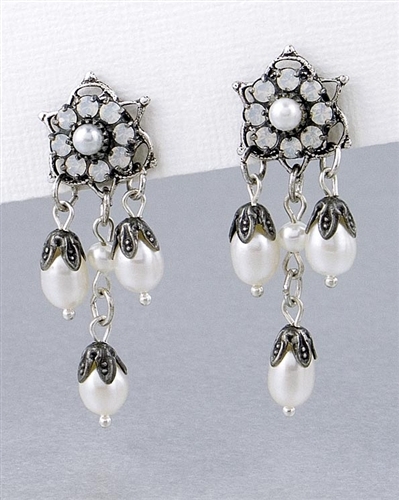 From the KennyMa Collection, an elegant pair of drop earrings with Swarovski crystals and freshwater pearls. Three white freshwater pearls dangle from a rosette made with white swarovski crystals. Also perfect for the bride to be. Exclusively in the UK from the Farfallina.net Jewellery Boutique.